This is the time of year for colds with the extreme up and down weather, but we have recently received some reports of kennel cough from our clients. The number of reported cases is less than 1% of our clientele, but we wanted to let our clients know as soon as possible to allow owners to look for signs/symptoms and keep pets at home until symptoms dissipate. As you know, DePAW works very hard to maintain strict cleaning protocols and rigorous vaccination requirements. Protecting our guests is our utmost priority. We take the health of your pet very seriously and will always inform our clients when we are concerned about a potential spreading illness. Be sure to watch for reports on our FB page, website, email newsletters, and displayed inside our lobby. Kennel cough is very similar to a chest cold. While irritating and unpleasant, it usually poses no serious health threat. All our doggie guests are required to be vaccinated against Bordetella/kennel cough every 6 months along with the other vaccinations required by the Illinois Department of Agriculture and additional recommendations from our local veterinarians. Within our facility, we have seen for ourselves a drastic reduction in our already low kennel cough rate since requiring it every 6 months versus annually. Much like the flu vaccine, kennel cough vaccines cannot protect against all strains, so even a vaccinated dog may catch it. Just as with human child daycare and schools, there is always a chance a child can pick up a bug from his friends. Keep in mind, dogs are contagious sometimes up to 10 days before they start showing symptoms. We ask that you please keep your dog home if they are coughing or sneezing. We recommend if your dog begins to cough, please consult with your veterinarian for a complete diagnosis and to please keep us informed right away via email health@depawk9.com or phone 630.232.8663. Definition: Autoimmune disease covers a broad variety of disorders in dogs that affect the immune system. A dog’s immune system is a network of white blood cells, antibodies, and other defenses in the body that fight off infections and foreign substances, including bacteria and viruses. Canine autoimmune diseases cause the immune system to attack the body’s own cells and tissue. An autoimmune disorder can be life-threatening to dogs depending on which organ or tissue the immune system rejects. There are many types of autoimmune diseases in dogs with various symptoms, and various severities. You must have veterinary clearance (minimum of every 6 months) on file at DePAW stating the current health and safety of the dog in order to partake in any/all DePAW services. Depending on the level of care required: may need to board at vet or there may be additional costs. We have recently received some reports of Papilloma Virus (sometimes called “Puppy Warts”). While the numbers are not high, there have been a few cases that we have been notified of. FYI – the reported number of cases is only .05% of our clientele. This is a virus that causes wart like growths usually (but not only) on the feet, lips, gums and mouth. The warts resemble a cauliflower. In general, the virus/warts are harmless. Just very unattractive. Once a dog contracts the virus it’s up to their immune system to try fight it off. Some dogs can carry the virus for a long period of time without ever producing a wart and yet other dogs develop the wart quickly. In some cases the wart can become inflamed, and some grow inward instead of outward. According to vets, such as vcahospitals.com; A pet has three main choices of treatment: leave it to resolve on its own, freezing off, or surgical removal. In some cases the dog’s immune system can fight the virus on its own and cause it to regress, but every dog is different (most warts will resolve themselves over 1 – 5 months). The warts can be tricky to spot under jowls, wrinkles, thick hair, etc. It is only contagious when the wart is present, which is why many owners have it surgically removed (as it is the quickest to return to normal routine.) The surgery takes seconds to do. There is no danger of this virus infecting other species (cats, humans, etc.). Dogs mainly pass it through saliva. The virus itself is very resistant to adverse conditions so it can survive for long periods in the environment outside an animal. There is no vaccine for it. Example, consider a kids school where they can pick up pink eye, except this is even less harmful than that. As we incorporate dogs into our human society they will pick up minor things that you may be unaware of, just like kids at a daycare. We want you to be aware and informed of the new things that may come up being a furry parent. It is DePAW’s policy that when it is noted that a dog has a papilloma that the dog must be isolated until it can be picked up by its’ owner or any contact, and then cannot return to DePAW until the wart is gone and you have a note from your veterinarian stating that they are clear. Please contact your vet if you need further medical or treatment explanations. 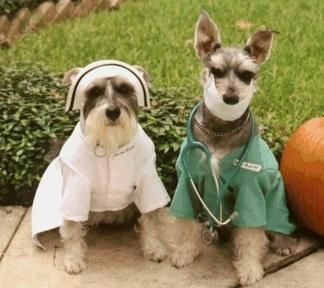 If you have questions directed for DePAW (specifically health related questions) or would like to let us know of a current health update on your pet either now or in the future – we would love to hear from you!! This will help us track pets and dates. We want to know! Please Email: health@depawk9.com Please rest assured we are adhering to very strict cleaning regiments and add extra deep cleaning routinely. 7 Foods to Avoid Feeding Your Dog or Cat listed by the AVMA. CLICK HERE to visit the American Veterinary Medical Association website to learn more. At DePAW we pride ourselves on our rigorous cleaning practices and vaccination standards. 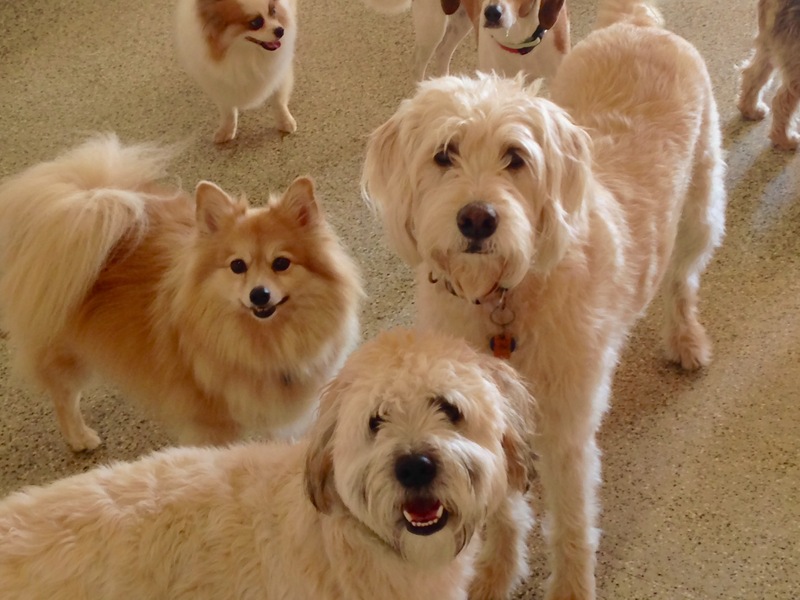 However, similar to a children’s daycare where colds or pink eye might spread, a dog may pick up a virus or bacteria when allowed to interact with other dogs whether it be at DePAW, another dog daycare, neighborhood dog park, or even in your own home. Click here to view AMVA definitions of canine distemper, canine influenza (“canine flu” or “dog flu”), canine parvovirus (“parvo”), heartworm, kennel cough, injuries, etc. This is an unusual time of year for colds, but we have recently received some reports of kennel cough. Although the symptoms were not present during their stay, a few have come down with the symptoms within a few days upon departure from DePAW. In the case that your furry companion has come down with kennel cough, please let us know privately so we know and can help track these cases. There is no need to be alarmed, the number of cases in our facility is less than 1% of our guests, but as always we want to give you the heads up. For those that want to learn more on kennel cough/bordetella keep reading. All of our doggie guests are required to be vaccinated against bordetella/kennel cough every 6 months, as well all the other vaccinations required by the Illinois Department of Agriculture. Within our facility, we have seen approx. a 50% reduction in our already low kennel cough rate since requiring it every 6 months vs annually. Much like the flu vaccine, kennel cough vaccines cannot protect against all strains, so even a vaccinated dog may catch it. Just as with child care, there is always a chance a child can pick up a bug from his friends. Keep in mind, dogs are contagious before they start showing symptoms. Please keep your dog home if he is coughing or sneezing. We recommend that if your dog begins to cough consult with your veterinarian, and we ask that you let us know right away via email or phone call info@depawK9campus.com.